The Mirai Shokudō in Jimbōchō is a unique restaurant, where customers can make requests, and order a one-of-a-kind meal. The Mirai Shokudō, located in Jimbōchō, Tokyo, is a teishokuya or set meal restaurant. The customers who visit here can also make requests, ordering a special dish according to their mood or physical conditions. This is an example of the Japanese concept of omotenashi, hospitality where the business must accommodate the customer's wishes to the best of their abilities. The Mirai Shokudō is located in the basement of the Nihon Kyōiku Kaikan (Japan Education Center). From Jimbōchō station, it takes about three minutes on foot to reach the small restaurant, which consists of 12 counter seats. The restaurant has a cozy atmosphere, where the female owner does the cooking. On the day of our visit, the owner and her assistant were working. The menu differs at lunch and dinner. Lunchtime is from 11:00 a.m. to 2:00 p.m., and the only menu is the set menu of the day, priced at 900 yen. As soon as the customer sits down, the tray with the fixed menu is placed in front of them. The main dish in the set menu alternates from day to day, between fish and meat. Today's main dish is Chikuzennni (*1). The root crops are soaked in broth, and the shiitake mushroom was especially juicy and delicious. A raw egg was offered for free, as the considerate owner thought that there weren't enough ingredients in the miso soup. *1 Chikuzenni: consists mainly of chicken, shiitake mushrooms, konnnyaku (a jelly made from devil's-tongue) and burdock root. The ingredients are cut into bite-sized pieces, and fried in a pan with a salty-sweet sauce. 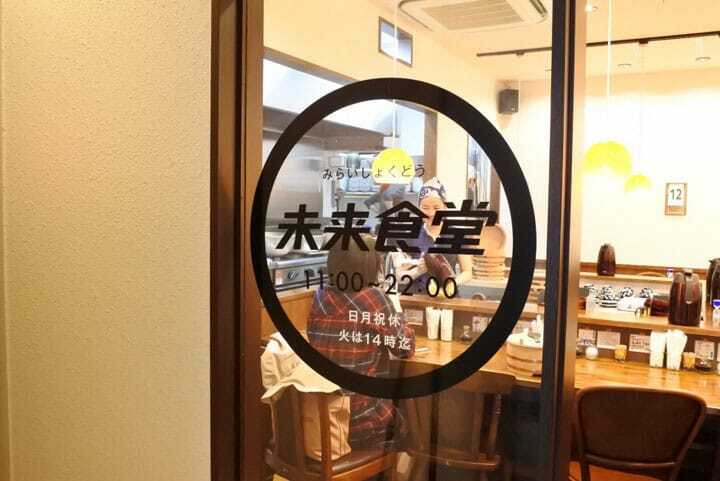 At dinnertime, between 2:00 p.m. and 10:00 p.m., the customers can add 400 yen to the set menu price, and ask for an atsurae (order-made) dish. First, the customer selects the foodstuff listed in the menu. For example, if you want to eat carrots and pork ribs, the staff will make suggestions about how to cook them, such as soup or stew. Chat with the staff, and have them make something especially for you. Even if you can't speak Japanese, the owner speaks English, so she can answer your questions. The restaurant is currently preparing an English menu and an explanation sheet. At both lunchtime and dinnertime, the customers can eat as much rice as they like, from this wooden ohitsu (container). This type of ohitsu is rarely seen in restaurants. The rice in this traditional container can be kept in an ideal condition, not mushy at all, and with just the right softness. The customers are asked to put the shamoji (rice scoop) back at this stand, after using it. There is a makanai (a free meal for the restaurant staff) system at the Mirai Shokudō. By working at the restaurant for 50 minutes, you're entitled to one free meal. The customers use this system for a variety of reasons, such as "just hungry," "to gain some experience in order to start a restaurant," or "to learn cooking." Anyone can use this system, as long as they're fit and healthy. Even visitors from overseas, who want to learn Japanese cooking, can use this system if they speak English, so those who are interested should give it a try. If you have no money, and also don't have any time to help, then try the tadameshi (meal for free) system. Pick up the tadameshi ticket, located on the wall by the entrance, and you can enjoy one meal for free. This ticket is only valid for a single customer. The tadameshi ticket has been created by someone who has used the makanai system, but declined the meal. If you happen to use the makanai system, it might be fun to give away the meal as a present to another customer. The date and time for the makanai work is written on the front of the tadameshi ticket. After the meal, the ticket user is asked to write the date of the meal on the back. They can also write their name, or leave a message. If you happen to be in a fix, try this system. The Mirai Shokudō is a new type of a teishokuya, with a lot of lovely points which can't be introduced in a single article. If you happen to visit Jimbōchō, please take a look. Closed: Sundays, Mondays and National Holidays.